Great photo here at the BACA Wines opening with their leading women, BACA Wines director Jennifer Brown (L) and BACA Wines winemaker Alison Frichtl Hollister (R). Mike and his team have created some really good new releases, both coming from the 2016 vintage. Each wines come from unique terroir and climates, one from Paso Robles and the other from the Russian River Valley. 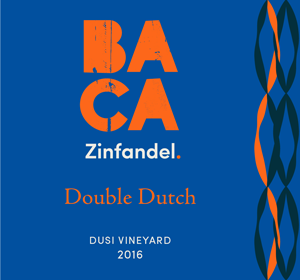 They are both excellent although I slightly preferred the 2016 BACA ‘Double Dutch Dusi Vineyard’ Zinfandel (WWB, 93) which showed tremendous warmth and really good range from this rocky vineyard site. Learn more about BACA Wines at https://www.bacawines.com Here are the great new Zinfandel wines by BACA wines.